The industrial sector is one of the JSE’s biggest source of shares. The mega companies that make up the industrial sector provide great investment opportunities for everyone looking to invest their money in a stable industry. The industrial sector can be very strong when the rand weakens as it is often less shaken. When you are starting your investment portfolio, including the industrial sector in your shares is a great choice to make. Industrial shares are your solid shares because they are offered by companies with a firm existence, trading in a very strong sector. This means that you are unlikely to lose your money with these investments and you are also more likely to receive bigger dividend payouts. When you are choosing between investing in industrials or resources, the choice is not so much a matter of which industry is better but rather which industry do you prefer the most? Your income and your investment goals will help you to make a decision about where you will invest your money. When you are looking for your investment to enjoy a higher growth exposure then the better option is to go with companies within the resource index. The share price of resources can be higher than those of the industrials. This is not to say that resources are better, instead, it means that you are taking more of a risk with the positive outcome being higher growth. Resources are more volatile while industrials are more stable and depending on your investment goals, this could be exactly what you are looking for. Currently, the industrial sector is the most represented sector on the Johannesburg Stock exchange. On the All Share Index, industrials currently make up 53% of the constituents. This means that because it represents more than half of the constituents, it is one of the top 3 main sectors in which to buy shares. When talking about the industrial sector, the companies which make up this sector are defined as all of the JSE listed companies that don’t belong in either the Financial Sector, the Oil and Gas Producers sector or the Mining sector. The Oils and Gas Producers and the Mining sector belong to the resources index of the JSE, while the Financials belong of course to the financial index. SA Industrial: All JSE Listed companies that do not fall into the first two categories. Although it might look like the SA Industrial Sector is a bit of a mix and match of various South African companies, these companies consist of some of the biggest names in business. As the industrial sector is the most represented sector in terms of market capitalisation (which is worked out by looking at the total market value of outstanding shares from companies listed on the JSE), the industrial sector is one that is included in just about every investor’s portfolio. The industrial sector itself can be further broken down into different categories. Breaking up the listings according to the industries of which they are a part can help when making an investment. For instance, it is always important and you can make better decisions if you invest in an industry which you are familiar with. If you are working or have experience in any of these industries then you will be well aware of which trends are likely to turn into investments with staying power. The more you know about the industry you are looking at, the easier it will be to choose a company, whether it is a small cap company or a mid cap company. Your investment has more protection. Capital growth is what you can expect from the industrial sector. This means that the value of your investment is going to increase over the period of time that you have it. Because your investment is slowly growing, your money is more or less protected. This growth is, however, dependent on the strategies for growth that a company has in place. As long as the company is committed to expansion, your investment will grow and you will enjoy more security. Companies in the industrial index have a great reputation for providing dividends. Dividends come from the profits of the company, and when you are investing in shares, you get a cut of the profits. Not all shares pay out dividends, some only provide a financial return when selling But history and data proves time and again that if you invest in industrial shares, you are more than likely to receive an income in the form of dividends. This is also where the resource sector misses out as they use most of their profits to keep afloat. The industrial sector remains one of the best performing sectors on the Johannesburg Stock Exchange. This means that when you buy shares in this sector, your investment is likely to be less volatile and more stable than if you put your money anywhere else. If you are looking to balance out the risks that you have in your portfolio, you should buy industrial stock. This is especially something to consider when you take into account South Africa’s economy and it’s ever present ups and downs. Industrials are very much reliant on a sound economy, and while South Africa’s economy is still competitive, investing in industrial shares is not a massive risk just yet. This means that before you invest you need to look at the current economic status and then you also need to get an idea about the future outlook of the economy. When you work with a broker, you can ask them about how they think the economy is going and you should also keep as up to date as possible with any economic news. Should the economy take a turn for the worse, you can always sell before you lose out on your investment. Your broker will be able to give you better advice so be sure to talk to one of our professionals. Every investment has its risks but it is worth noting that every investment opportunity also has its benefits. When enlisting the assistance of a broker, you will be able to navigate the JSE road and make sound choices for your portfolio. 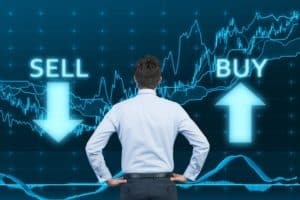 Even though you might have the services of a stock broker, it won’t hurt to learn a few investment tips so that you don’t enter the investment world blindly. The price that you originally paid for the share should not be the factor that determines whether you hold the stock or sell it. Taking a sizeable profit should also not be a reason to sell your shares. If your shares remain a good investment then it is actually best to hold onto them and not worry about when or if the shares will drop and become worthless. This kind of thinking can actually end up costing you more than buying your shares did. You can take a lot from your first loss. The thing about investing in shares is there is almost certainly going to come a time when you do suffer a loss. Don’t let this dissuade you, rather let it become the best lesson you will ever learn from the stock exchange and use this new found knowledge to make better investments in future. Know when to celebrate your profits and cut your losses. If you have made a bad investment choice, cut it and learn from your choices. There is no need to hold onto shares in the hope that a bad choice will turn into a good one. You should also celebrate your good choices which often greatly outweigh your bad decisions. Balance your portfolio carefully. Never include too many companies from one index and too few from another. Balance is your key to success so while you invest in industrial sector companies you should also consider investing in companies in the resources sector. Companies listed in the industrial sector make a good investment choice for your portfolio. When you purchase these shares from the right company you can be certain that you will receive a good income from their profits. Investment success lies in the trade success of the company you invest in; look at the company’s financial forecast and history before you contribute capital. Looking to invest but not quite sure where your money will sit best? Our stock brokers can give you some great advice and they can manage your portfolio, purchasing those shares for sale that will provide a profitable performance. Get in touch with one of our professional brokers by submitting an online form and start your journey into the exciting world of the JSE.